The largest of the 5 salmon species, king salmon are aptly named for their size and strength. 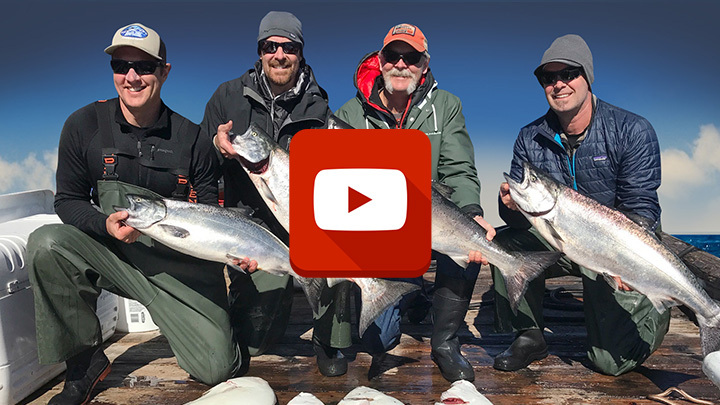 The summer months in Craig, Alaska provide anglers an excellent opportunity to catch king salmon as they migrate down Alaskan coastline on their journey south. 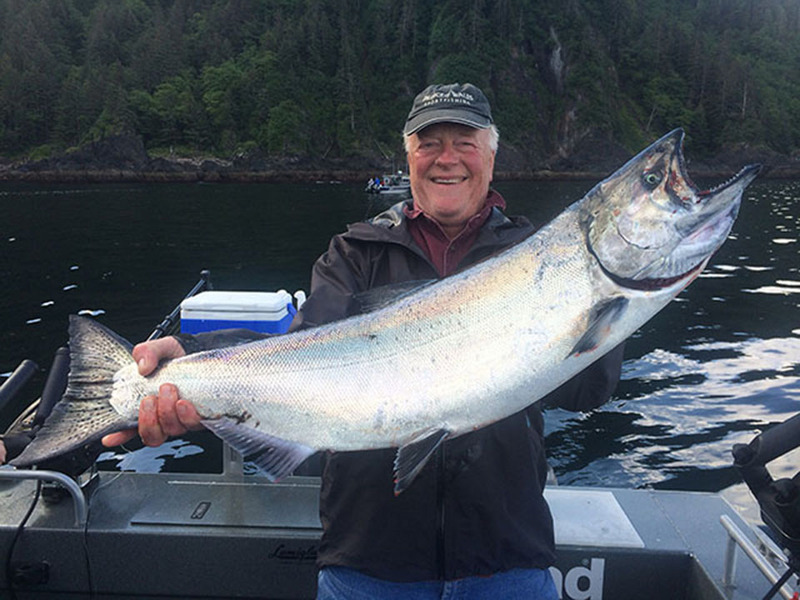 King salmon in the waters around Craig average in the mid-20’s and trophy class kings in the 40 and 50 pound range aren’t uncommon in the waters around Prince of Wales Island. 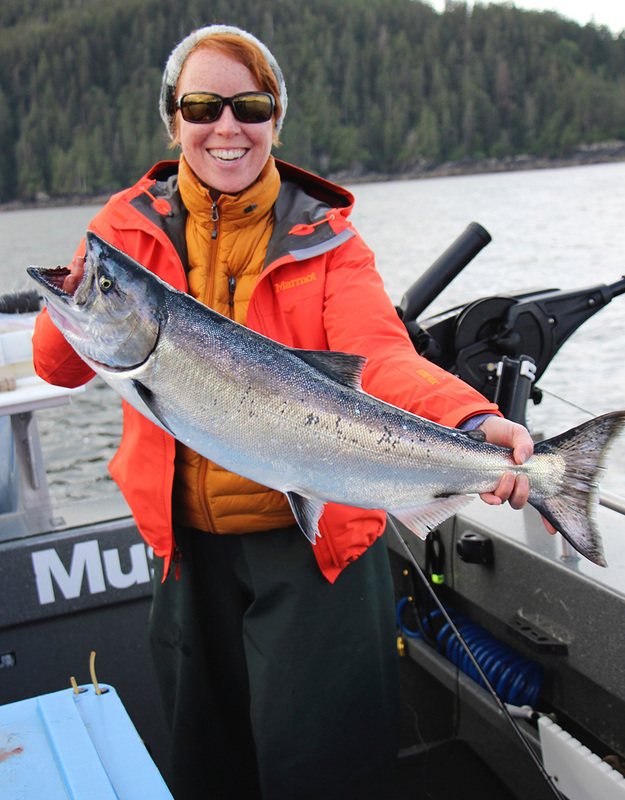 Our method of choice for catching king salmon is drift mooching cut plug herring, but we will also deploy trolling gear to locate these hard-fighting fish. 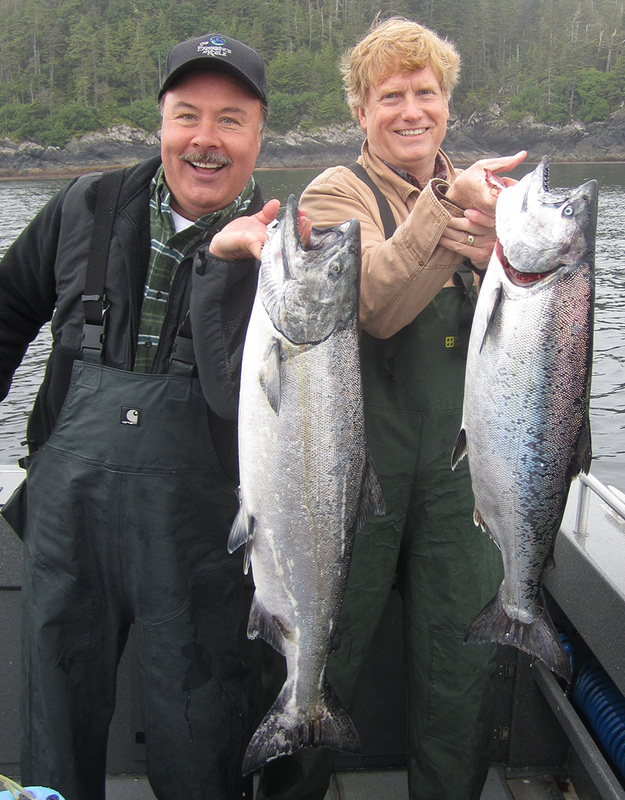 Silver salmon abound in the waters around Craig in the months of July and August. 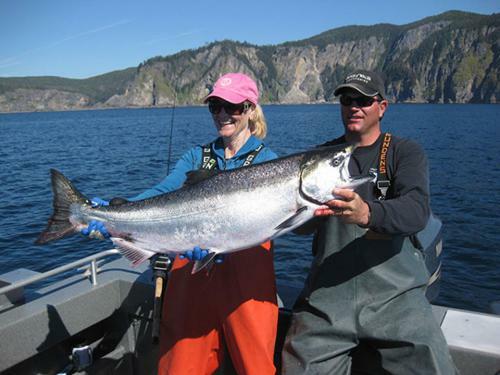 Silver salmon average from 6-12 pounds, and get as big as 20 pounds. 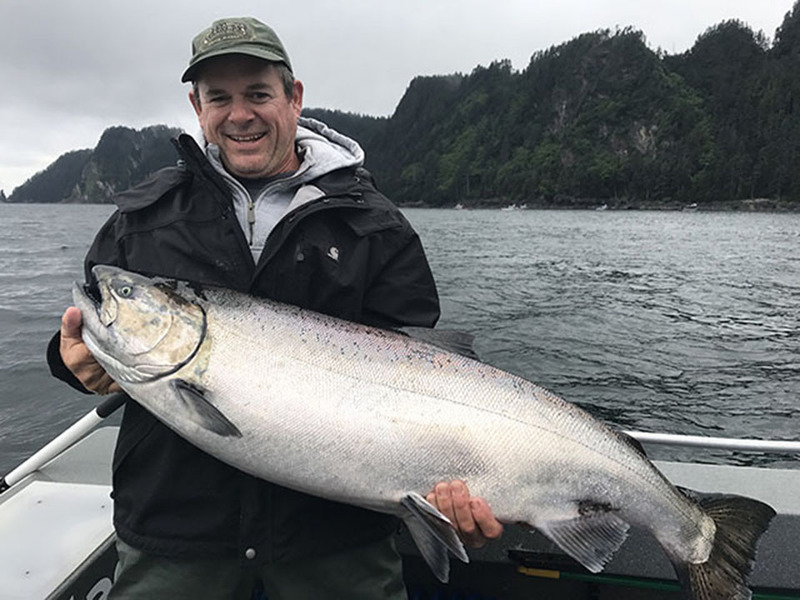 Silvers are typified by their often nonstop tail-walking and unpredictable runs and can provide outstanding fishing in the waters around Craig once they arrive. Mooching cut plug herring for silver salmon can be fast action and it isn’t uncommon for all four rods to be hooked up at the same time. 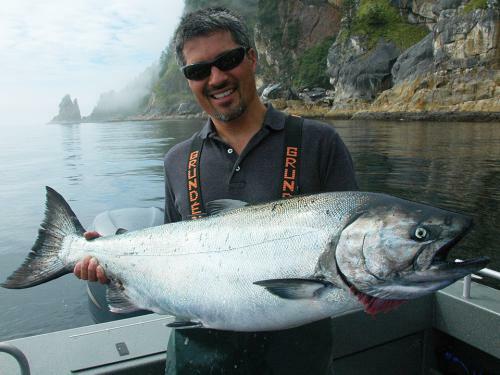 Pound-for-pound, the chum salmon is one of the hardest fighting of all the salmon species and they definitely don’t get the respect they deserve. 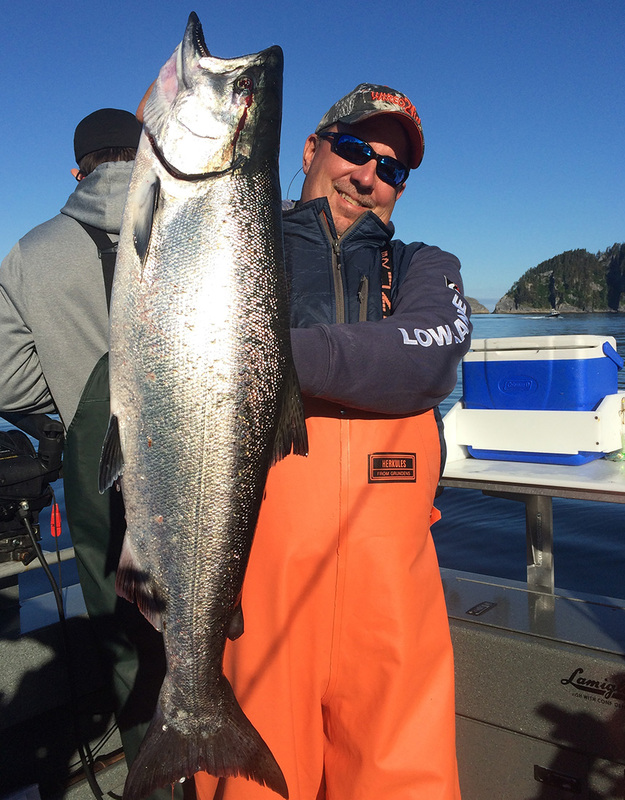 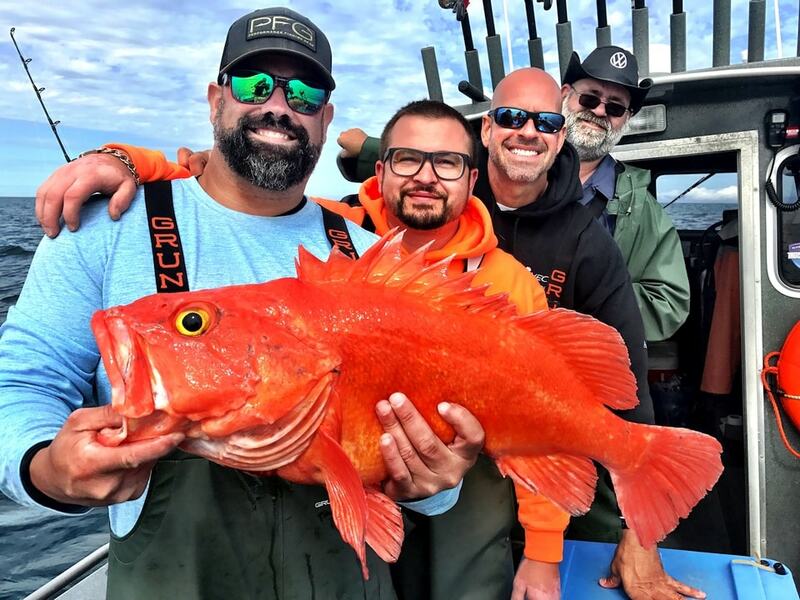 We often run into saltwater chums on our charters in Craig and our customers are amazed at how hard they fight. 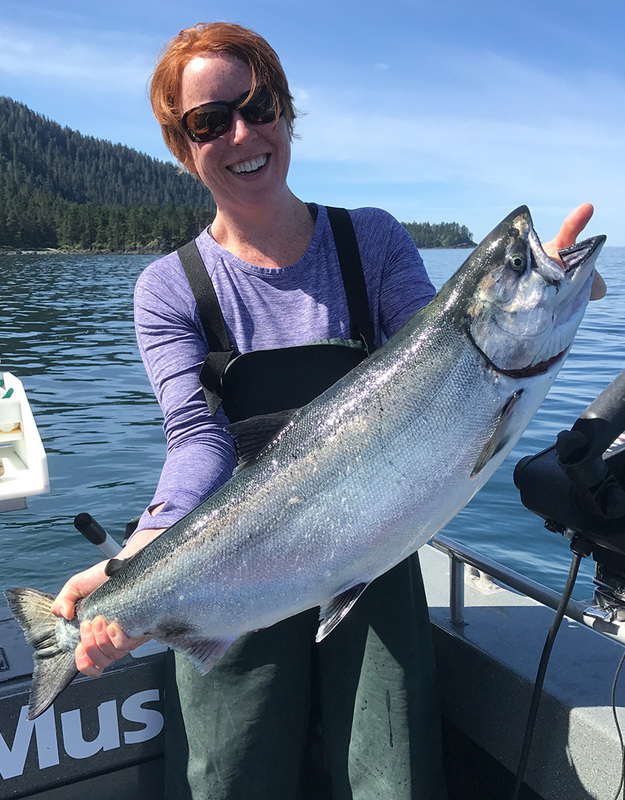 While their appearance in our waters is often difficult to predict, we certainly don’t complain when we run into these hard fighting salmon. Pink Salmon invade our waters by the millions during the summer months and can be found from mid-July on thru the end of August. 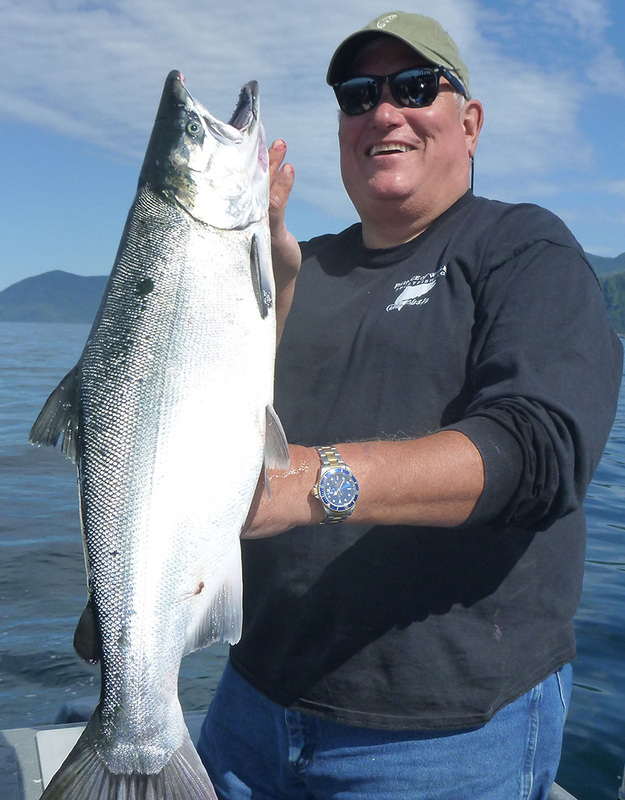 While their eating quality isn’t as good as king or silver salmon they provide great fun on light tackle and are very aggressive biters. 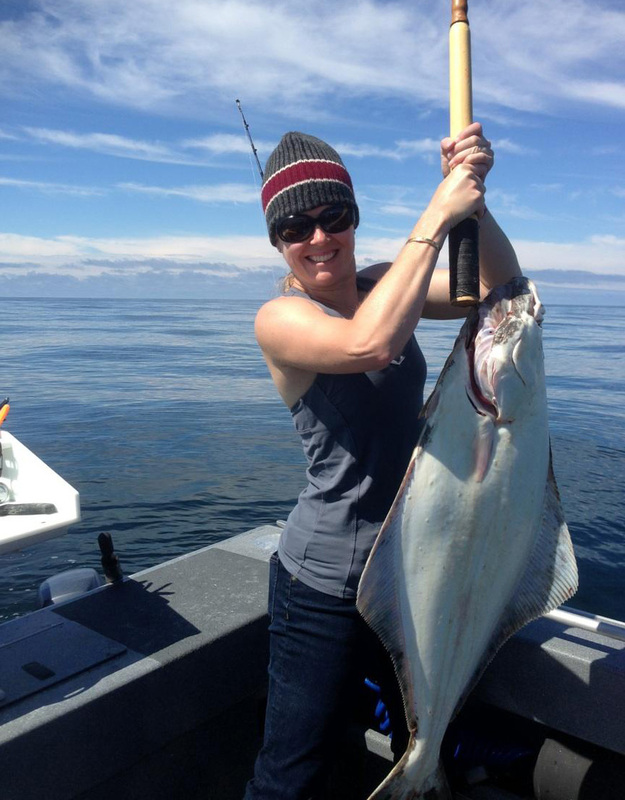 Halibut are known for their fine table fare and are prolific in Southeast Alaskan waters. 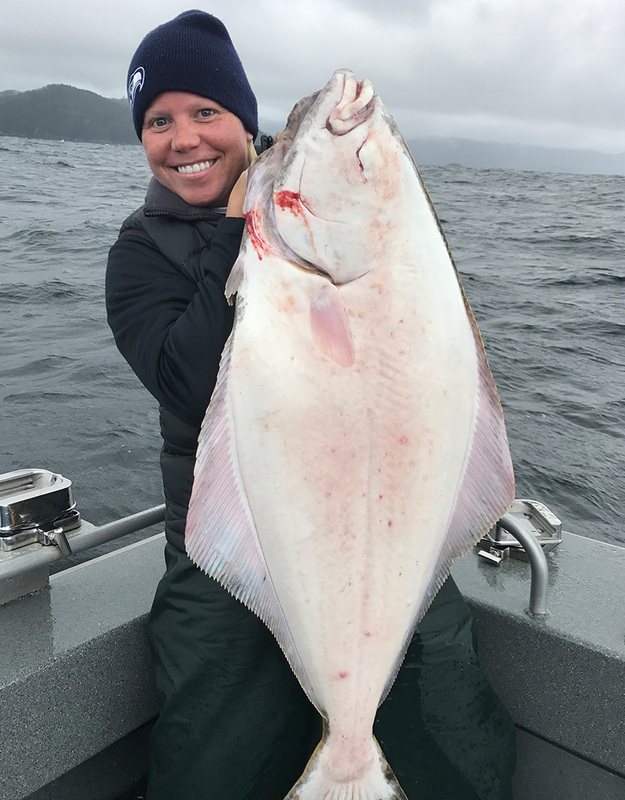 Typical eating-size halibut average between 15 and 40 pounds and we often catch and release halibut in excess of 100 pounds. 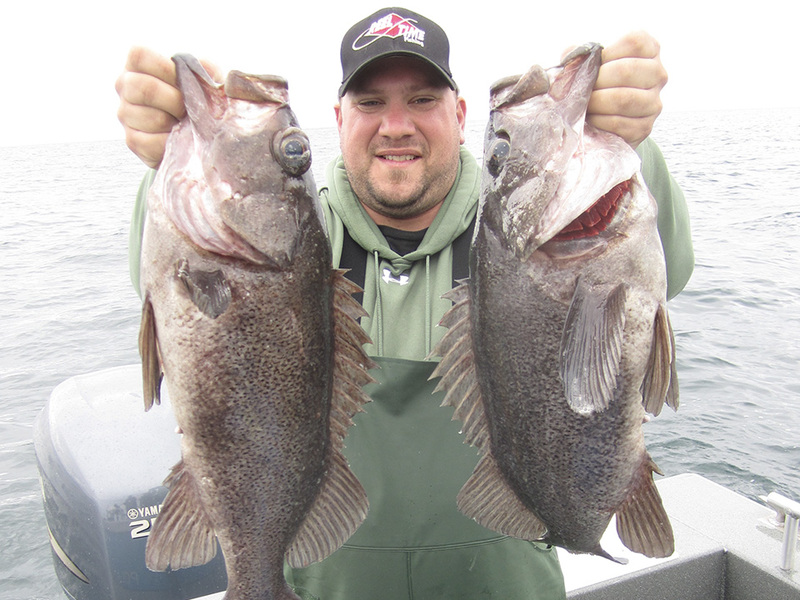 Halibut are caught either on anchor or by drifting large baits and jigs on the ocean floor. 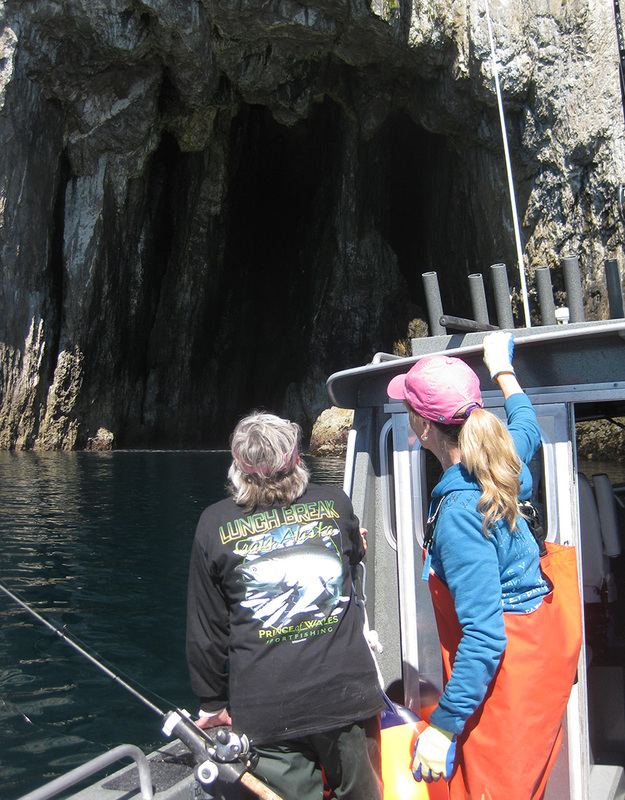 Yelloweye can be found near pinnacles, rock outcroppings, and other structure near the bottom in Alaska. 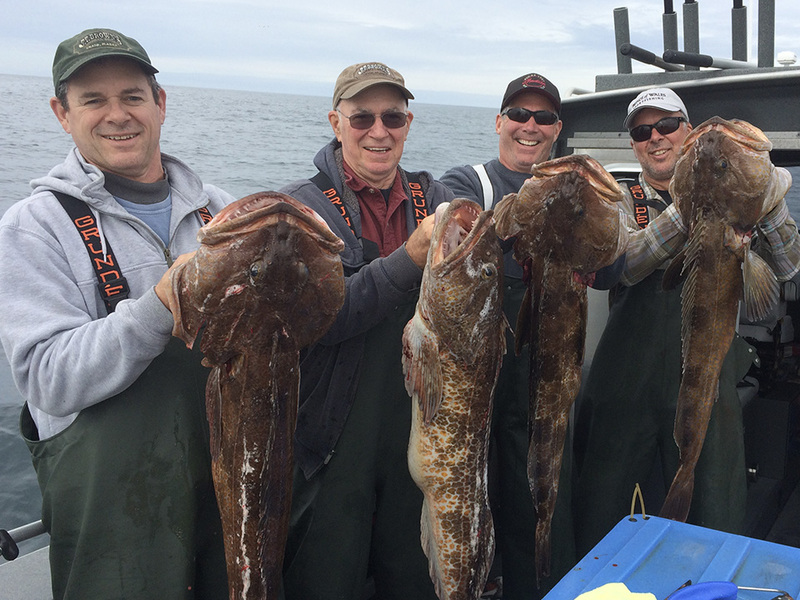 We usually find them in 150 feet to 500 feet of water, though they live much deeper than that. 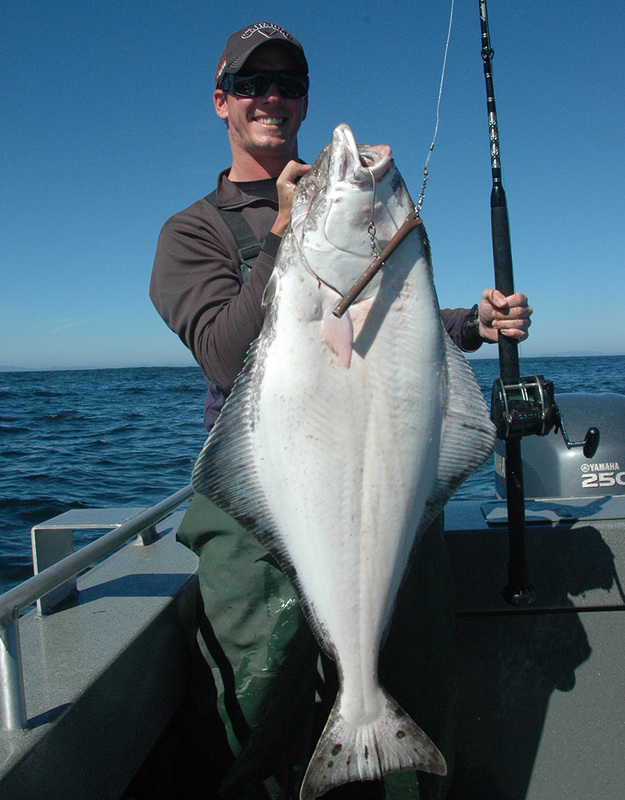 These fish average 10 to 15 pounds and can get as large as 25 to 30 pounds. 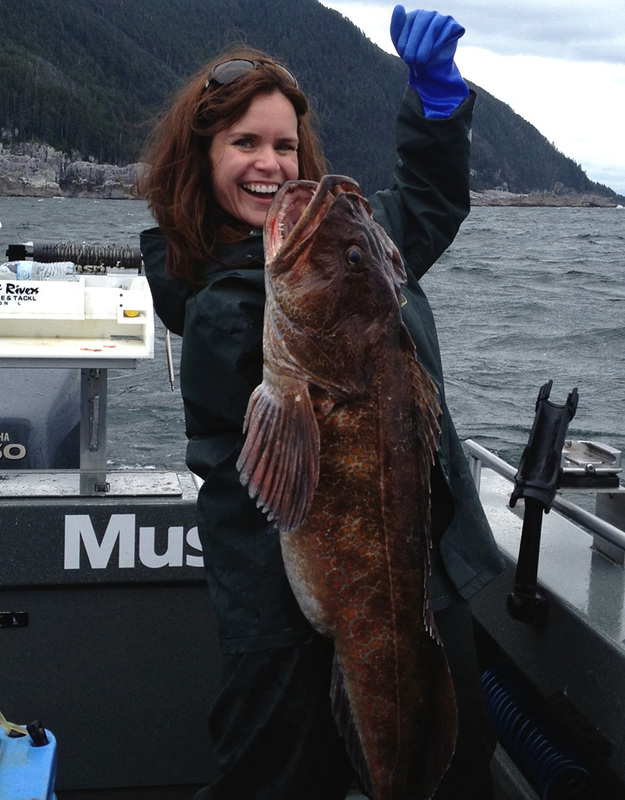 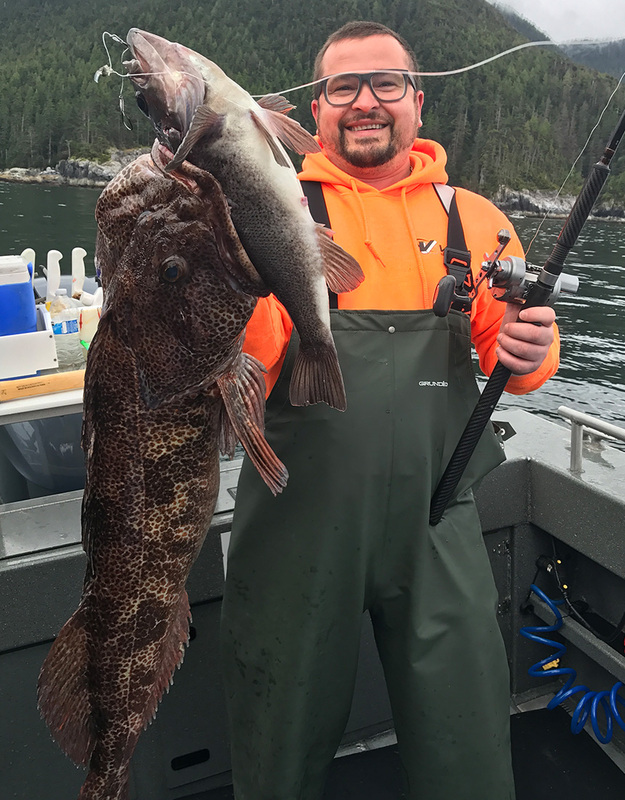 We often take these bottomfish while fishing for halibut near underwater structure in Alaska. 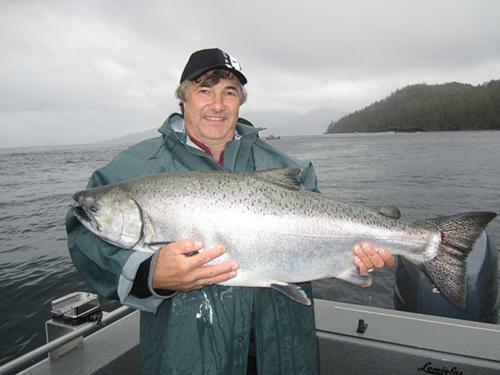 An adult yelloweye can be up to 80 years old.